Interviewing Cliff Richard on 'Hold Tight', 1987. 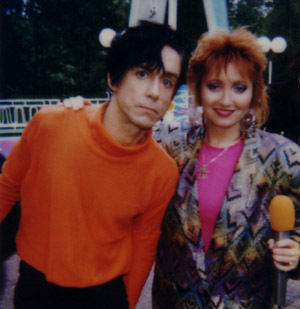 With Iggy Pop on the set of 'Hold Tight' (1987). 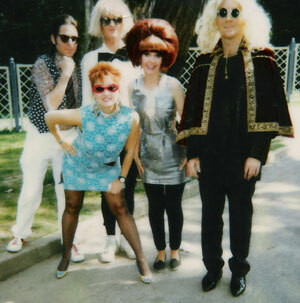 With The B52's on the set of 'Hold Tight' (1987). Presenting on the Music Box Channel for Sky Satellite TV, (1985). 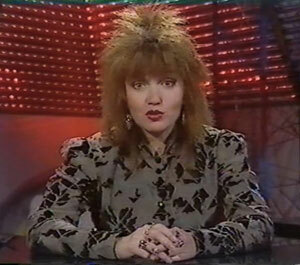 Presenting 'The Small Screen' on the Night Network, London Weekend Television (1988). 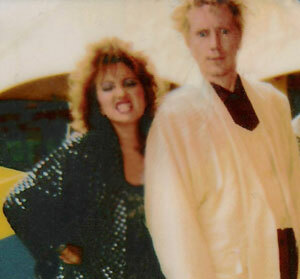 Presenting 'Sprockets', filmed in 1991. A movie history series, Sprockets was recently shown again on SKY TV UK.